We at Holy Advent are always thrilled when visiting clergy, even the Bishop, tell us what a unique and “very special place” our parish is. Its faith, its openness, its love and its warmth, these things that we so love about our church and its community we have grown to accept as routine. We are very thankful to be in such a special place where we can continually be reminded of God’s love for each of us, and we are very proud that it shows. ​In 1873, local Anglicans were meeting in the Academy building (presently the Social Services Department) for services of worship. ​On September 10th of that year, eighteen people from Clinton, Madison, and Westbrook constituted themselves as "...the Episcopal Society of the Holy Advent Church..." Five days later they elected wardens and a vestry. 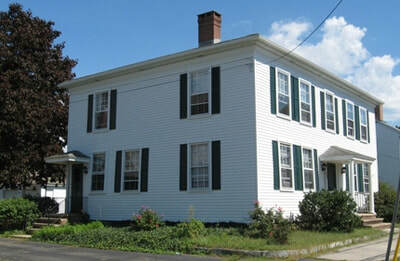 A building lot was purchased in March of 1874. 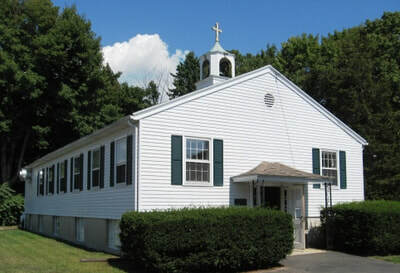 On June 10th, the Society was admitted into union with the Diocese of Connecticut as the Church of the Holy Advent and its first delegate was seated in convention. More information on our Archives page. 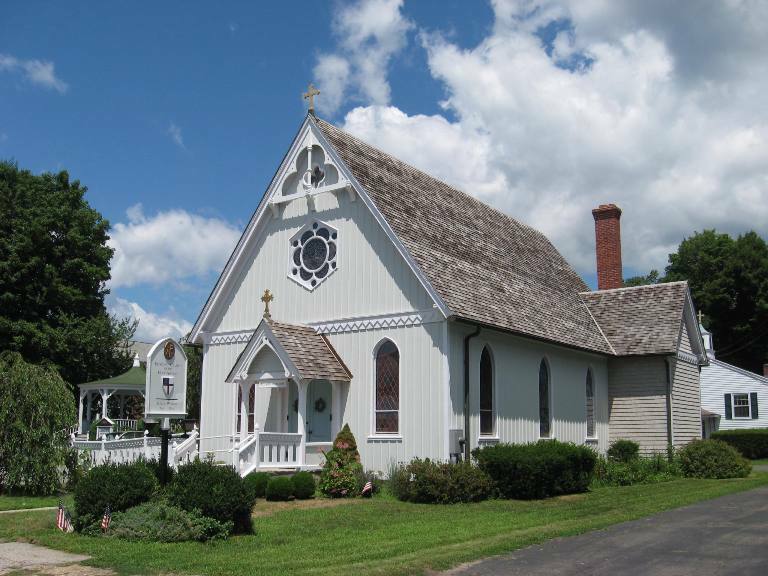 The Church was built in 1876 and offers a lovely and peaceful space in which to worship God. Stained glass windows contribute to its beauty. The Rectory, a classic colonial home, is next door to the church and the building serves as a part-time home to our Rector, as well as providing meeting space for parish groups. Prior to Fr. Larom's arrival, the building served as home to a refugee family. 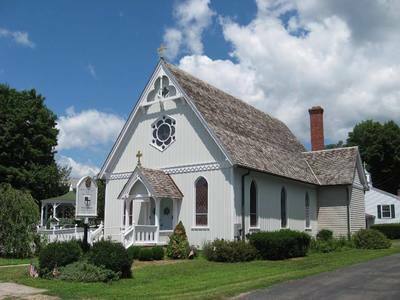 The Norma Hull Parish Hall is where all gather for fellowship and other various parish events. The hall is equipped with a kitchen (available for private use, info here). Rector's office, Church Secretary's office, Archives office, classroom, and meeting space are all in the lower level. 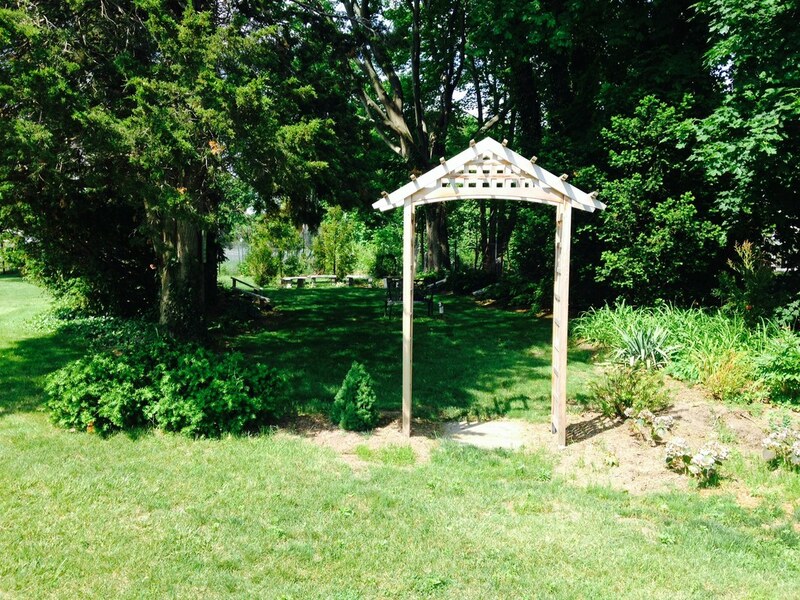 The Memorial Garden at Holy Advent is designed to be a place of tranquil beauty, set aside for the interment of ashes and for prayer and meditation. Located behind the church and parish house, the garden is enclosed with shrubs and planted with a variety of seasonal flowers. A boulder with names and dates of those buried in the first and second quadrants sits along the side of the garden. ​The names for the rows in the first and second quadrants reference persons important in the Gospel of St. Luke the Physician, who is remembered for his care-taking ministry. In the future, a bower is planned for the entrance. More information on the St. Luke's Memorial Garden page.